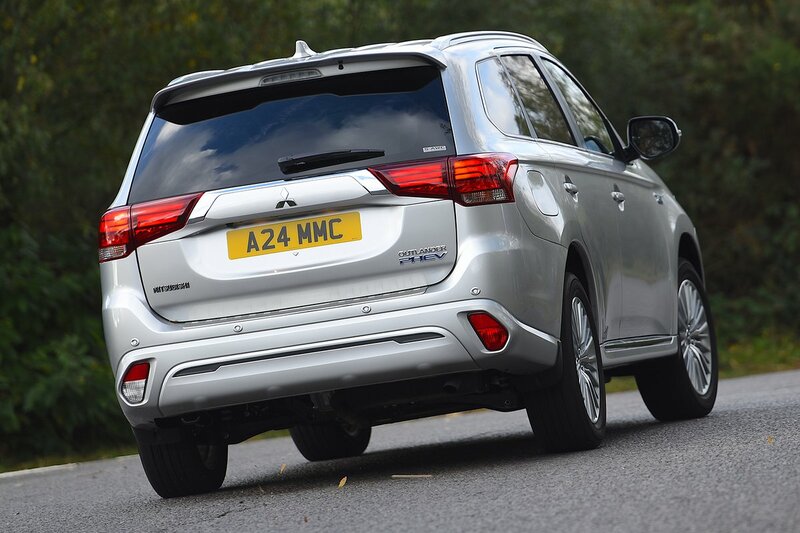 Mitsubishi Outlander PHEV Performance, Engine, Ride, Handling | What Car? 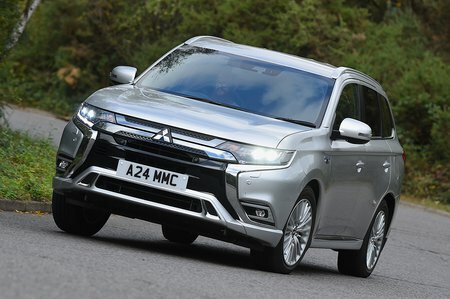 Given the exotic nature of its powertrain – a conventional four-cylinder 2.4-litre petrol engine combined with two battery-driven electric motors – the PHEV actually feels remarkably “normal” to drive. There's no need to change gear – just a seamless transmission of power. You can drive without doing anything special; the onboard 'brains' will decide when the electric motors should contribute to your progress or turn themselves into generators to recharge the battery when its charge comes close to running out. If you want to, you can use the console switches to dictate when to recharge the batteries, when to use electric drive only and when to ensure all four wheels are being driven. The Outlander is easy and relatively pleasant to drive. Refinement is very good at low speeds, especially when the electric motors do all the work of moving the car. The 2.4-litre engine is quiet and refined, only becoming audible under heavy acceleration. The car can travel at speeds of up to 84mph in full electric mode, so it’s possible to make small jaunts on the motorway without waking up the petrol engine. However, given that the car's claimed 28-mile electric-only range will fall by a large margin at motorway pace, it’s better to limit pure electric running to trips around town. The Sport driving mode (which can be selected via a button on the centre console) sharpens the car’s throttle response and adds weight to its steering, but doesn’t make the Outlander any more engaging to drive in reality. 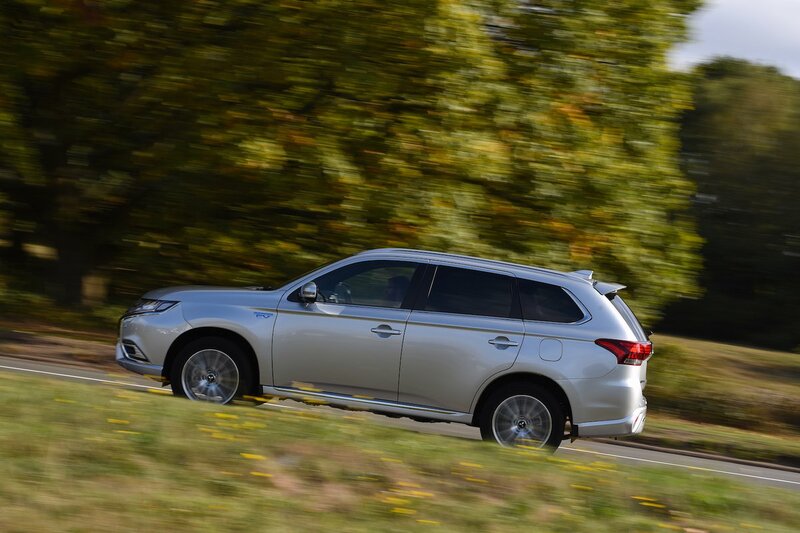 Even under full acceleration, the Outlander fails to deliver the kind of effortless pace you’d get from a traditional diesel engine. The same goes for the Outlander’s handling. It feels less agile than conventionally-powered SUVs such as the Skoda Kodiaq, leaning in faster corners and not steering with quite the accuracy we’ve come to expect from the latest crop of modern SUVs. This is a car that feels best when wafting along at a relaxed and comfortable pace. But surely the Outlander’s soft suspension results in a more supple ride than that of sportier rivals? Well, yes and no. At higher speeds, the Outlander does a reasonable job of dealing with long-wave undulations, but sharp abrasions such as expansion joints and potholes send jarring impacts through the interior around town.